Ten secures the rights to cover MotoGP until 2018. Ten has extended its agreement with Dorna Sports to broadcast the premier motorcycle racing FIM World Championship, MotoGP, in 2017 and 2018. With the 2016 MotoGP Championship season nearing its end, the extension of the broadcast deal is a coup for Australian motorsport viewers. The extended deal guarantees that all MotoGP races will be available live and free on ONE for the next two years. 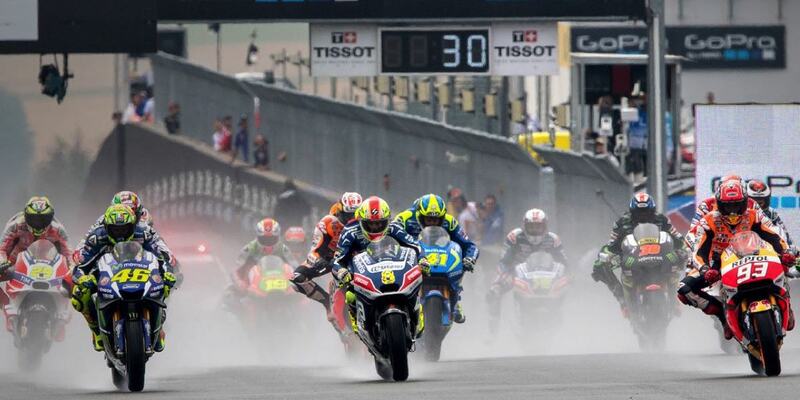 It also guarantees that the Australian round of the MotoGP World Championship, including qualifying and the race, held at Victoria’s Phillip Island will be broadcast live and free. In addition, ONE will again feature a pre-race and post-race MotoGP show. Hosted by Mark Howard and expert commentator Daryl Beattie, the pre-race show which will provide a detailed review and expert analysis from the qualifying race, as well as a comprehensive preview of the race. A thorough post-race review and analysis will also be provided at the end of all 18 races, which cover 14 countries and four continents. Every MotoGP race, including the pre-race and post-race shows, will continue to be available via live streaming at www.tenplay.com.au. Network Ten continues its commitment to big event motorsport in 2017 broadcasting key 2017 FIA Formula One Championship races including the Australian Formula One Grand Prix, the biggest 2017 Virgin Australia Supercars Championship events including the Supercheap Auto Bathurst 1000 and popular motorsport panel show RPM, all live and free.